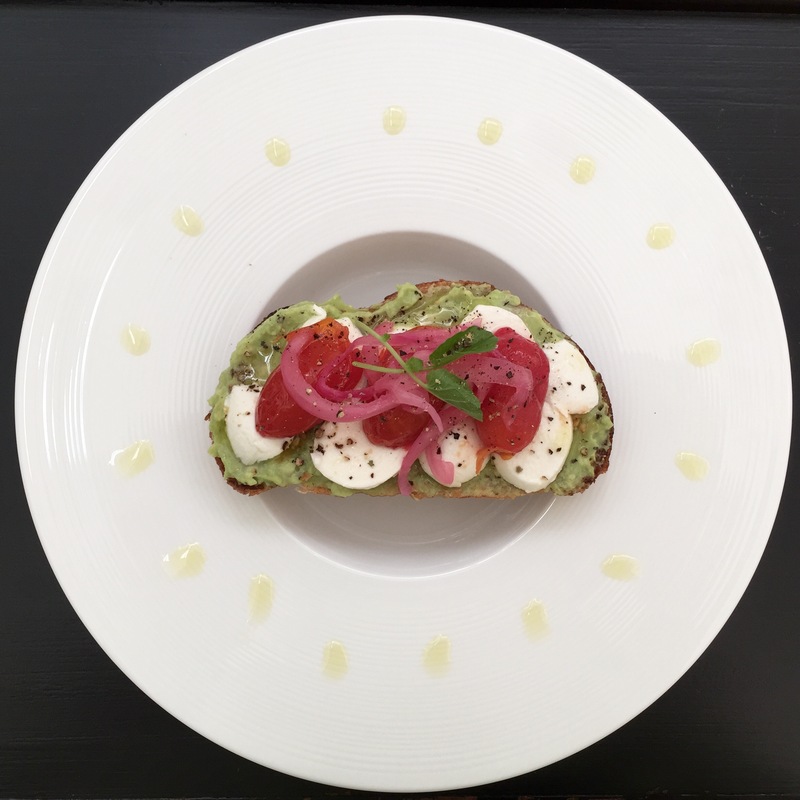 If you’ve ever tasted anything that made you so happy you wanted to cry, you’ll know how it’ll feel trying this burrata & avocado toast. 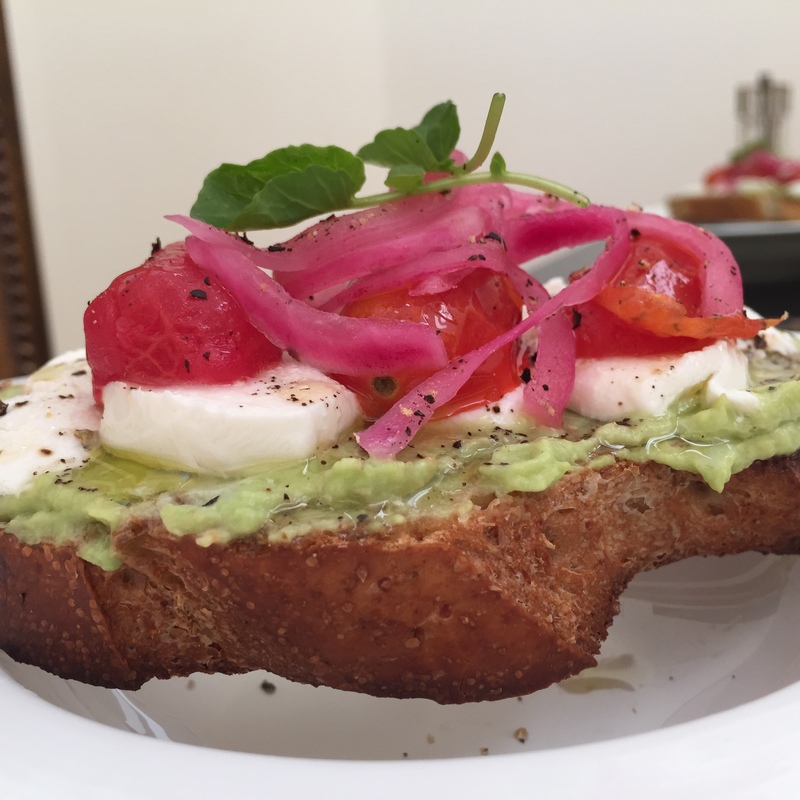 Warm, garlicky tomatoes, creamy avocado and absolutely heavenly burrata make the perfect marriage all on a hearty multigrain or sprouted bread. A quick, fresh starter or a vegetarian meal all on its own, this recipe will sure make you a star (in under 15 minutes)! Toast bread for approximately 2 minutes or until golden brown. Mash avocados along with lemon and a sprinkle of sea salt in a small mixing bowl. Divide the avocado mixture among the slices of toast. Top with burrata. Heat olive oil in a saute pan over low-medium heat. Add crushed garlic and saute for 1 minute, taking care not to let garlic burn. Add sliced tomatoes to pan and allow to cook for approximately 3 minutes. Divide the tomatoes evenly among the toast, and top off with the olive oil & garlic drizzle from the saute pan. Top with pickled red onion, a dash of sea salt & serve immediately.